Professor David Lockey qualified in Newcastle and trained in Nottingham, Bristol, London and Perth, Australia. He is the Clinical Director for the Severn Major Trauma Network and is an Hon. Professor of Trauma & Pre-hospital Emergency Medicine at Bristol University, Visiting Professor at the University of Stavanger and an Hon. Clinical Professor at Queen Mary University, London. 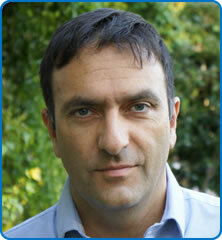 He is also a Consultant, Research Lead and Trustee at London's Air Ambulance. Currently he is chairman of the of the Faculty of Pre-hospital Care, Royal College of Surgeons of Edinburgh and Vice Chair (and Immediate Past Chairman) of the Intercollegiate Board for training in Pre-hospital Emergency Medicine.